EIZO has been an industry leader in the innovation and development of quality 2K primary control monitors for mission-critical ATC since 2005. EIZO also offers the industry's first 4K x 2K monitor developed specifically for ATC that offers a new way for ATCOs to view primary control data. 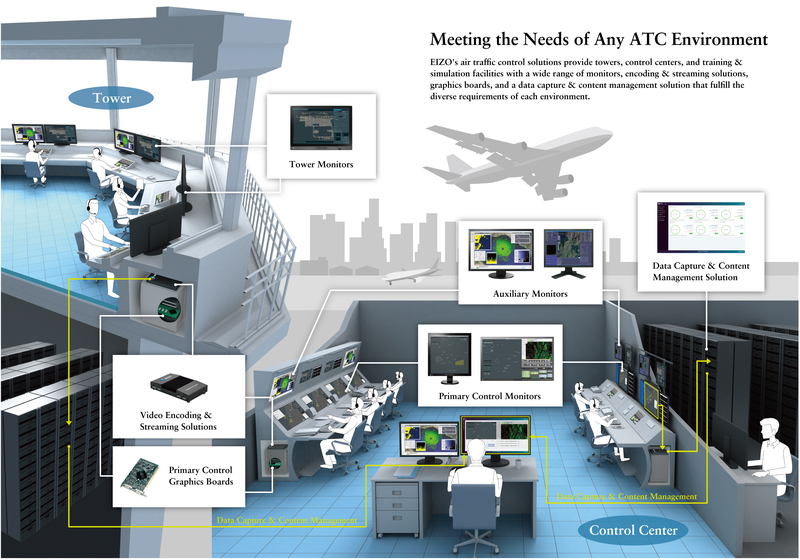 EIZO's primary control monitors are relied on by thousands of controllers in some of the world's most demanding ANSPs for the safe and efficient movement of air traffic. EIZO's tower monitors provide exceptional readability of text and images in varying ambient lighting conditions, making them ideal for tower applications. They are customizable to meet the specific needs of individual towers including mounting options, cabinet color, and more. EIZO's comprehensive lineup of auxiliary monitors provides control centers, towers, and training & simulation facilities with a wide range of monitor sizes and features sets. 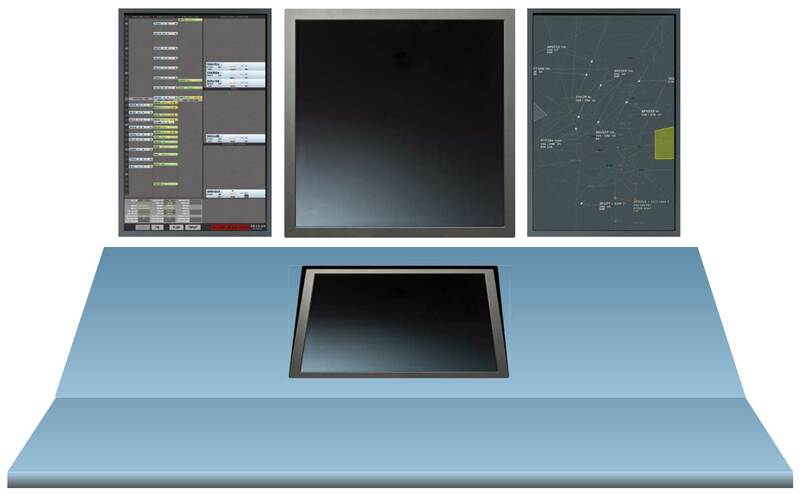 Both standard and touch panel monitors are available. EIZO has been a pioneer in visual graphics hardware solutions in ATC since 1987. 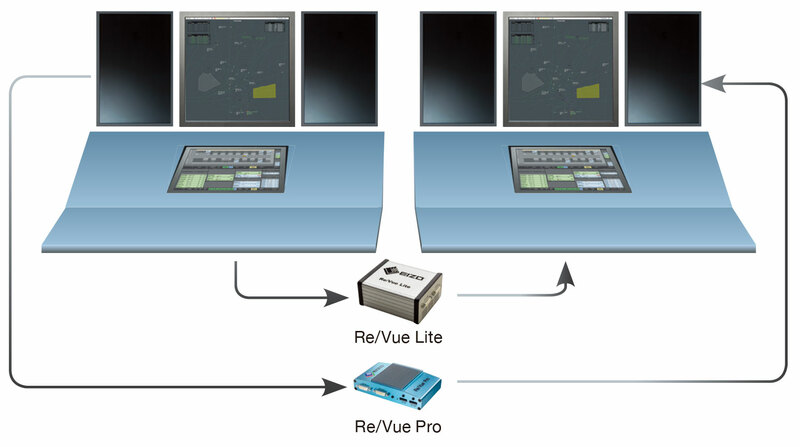 The Re/Vue line of encoding & streaming solutions culminates from this extensive background to provide devices with the accuracy and dependability needed for ATC, training & simulation, and command & control applications. The products are deployed in several locations worldwide and continue to meet the rising demand in video streaming with industry-leading compression ratios and mission-critical reliability. 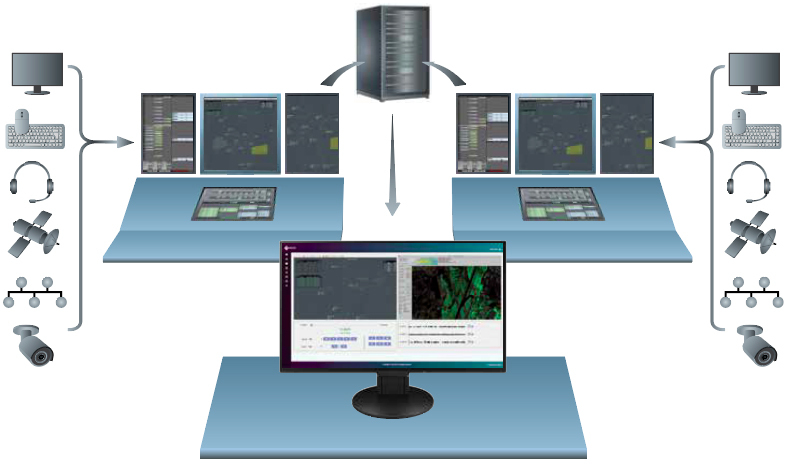 SafeGuard is a data capture & content management solution designed to receive multiple feeds from communication interfaces employed in mission-critical environments such as ATC. It is an end-to-end system that provides a highly secure archive supporting the management, analysis, and distribution of data for industries facilitating Post Incident Investigation, Search & Rescue Operations, Training & Performance Analysis, and Verification & Validation. It is designed to work seamlessly with EIZO's ATC hardware solutions including monitors, encoding & streaming devices, and graphics boards. The 4th generation Raptor Series of high-resolution graphics boards and associated drivers are developed in-house for ATC, military, and command & control applications. They support legacy UNIX and Linux platforms and applications that require the use of overlays. With multi-resolution support, high configurability, and reliability with an innovative passive heatsink cooling system, these graphics boards meet the specifications required for any mission-critical environment.